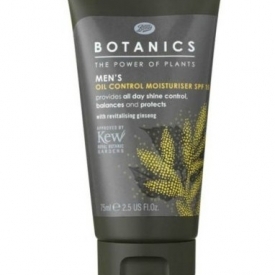 Botanics Men's Oil Control Moisturiser SPF 15 provides all day shine control, balances and protects with revitalising ginseng. 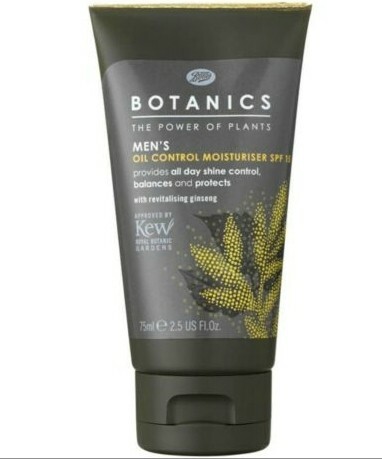 Whilst it's good to see a complete range of inexpenive mens toiletries and especially one that includes spf, this moisturiser isn't a favourite. The oil control aspect wasn't very apparent in use and it's a little less absorbant than I like. I appreciate that it's relatively inexpensive but I was epecting a little more.